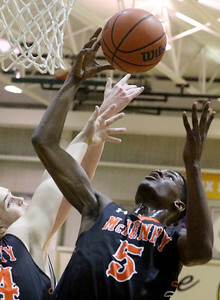 Matthew Apgar - mapgar@shawmedia.com The McHenry student section holds their hands up during a free throw in their boys basketball game against Crystal Lake South on Friday, Jan. 22, 2016 at Crystal Lake South High School in Crystal Lake. 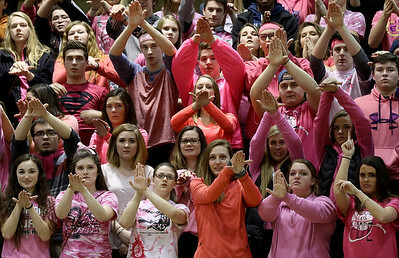 Both student sections were wearing pink to raise awareness for breast cancer. Matthew Apgar - mapgar@shawmedia.com Gavin Markgraff of McHenry, right, shoots past Crystal Lake South's Tyler Haskin during their boys basketball game on Friday, Jan. 22, 2016 at Crystal Lake South High School in Crystal Lake. 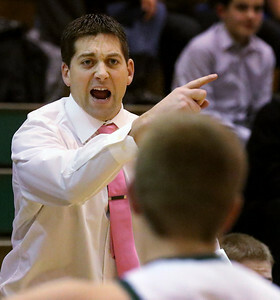 Matthew Apgar - mapgar@shawmedia.com Crystal Lake South coach Matt LePage calls the shots on the sidelines of their boys basketball game against McHenry on Friday, Jan. 22, 2016 at Crystal Lake South High School in Crystal Lake. 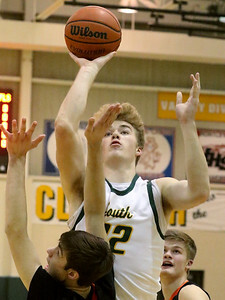 Matthew Apgar - mapgar@shawmedia.com Crystal Lake South's Weston Buckner shoots over McHenry's Gavin Markgraff during their boys basketball game on Friday, Jan. 22, 2016 at Crystal Lake South High School in Crystal Lake. 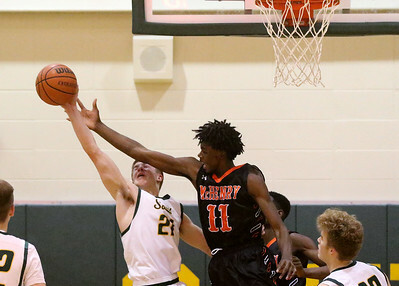 Matthew Apgar - mapgar@shawmedia.com Crystal Lake South's Zach Geske, left, and McHenry's Deshawn Wilson stretch out for the ball during their boys basketball game on Friday, Jan. 22, 2016 at Crystal Lake South High School in Crystal Lake. 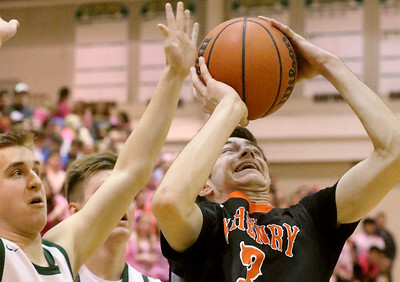 Matthew Apgar - mapgar@shawmedia.com Matthew Mohr of McHenry comes up with the rebound during their boys basketball game against Crystal Lake South on Friday, Jan. 22, 2016 at Crystal Lake South High School in Crystal Lake. Matthew Apgar - mapgar@shawmedia.com Crystal Lake South's Noah Wilde, front, and Brian O'Toole vie for the rebound during their boys basketball game on Friday, Jan. 22, 2016 at Crystal Lake South High School in Crystal Lake. 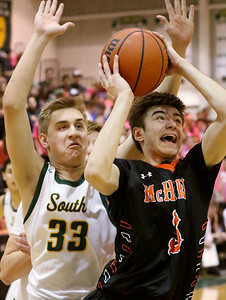 Matthew Apgar - mapgar@shawmedia.com Corey Larsch of McHenry shoots over Crystal Lake South's Noah Wilde during their boys basketball game on Friday, Jan. 22, 2016 at Crystal Lake South High School in Crystal Lake. Crystal Lake South coach Matt LePage calls the shots on the sidelines of their boys basketball game against McHenry on Friday, Jan. 22, 2016 at Crystal Lake South High School in Crystal Lake.